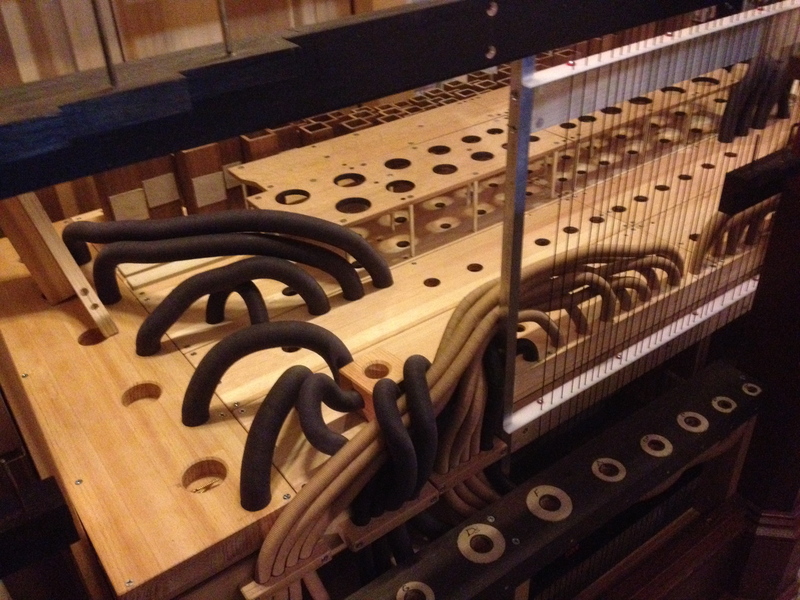 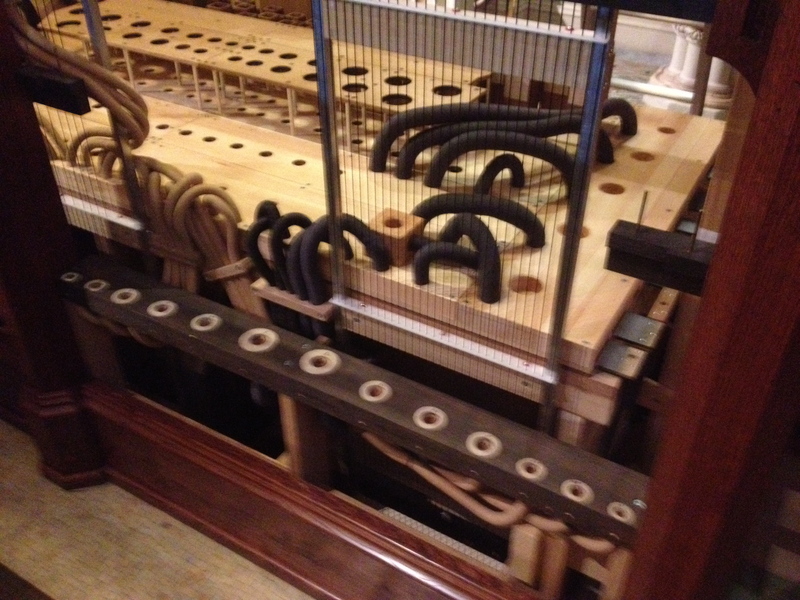 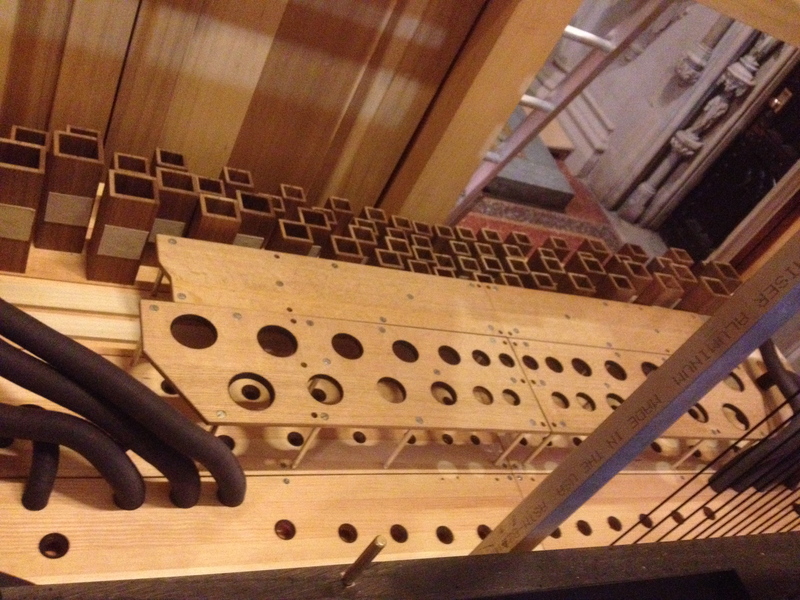 These photos detail work on the Main Pedal Division that will be placed inside the old front organ chamber. 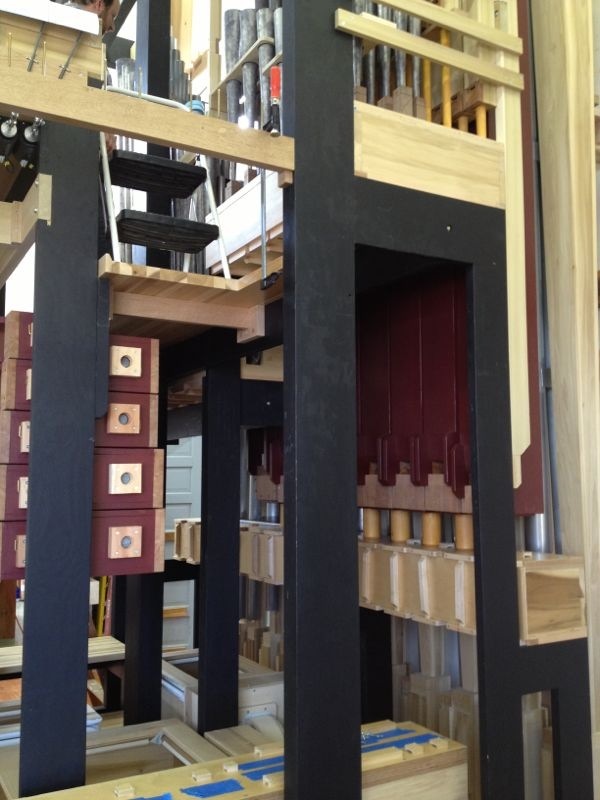 This is only the bottom half. 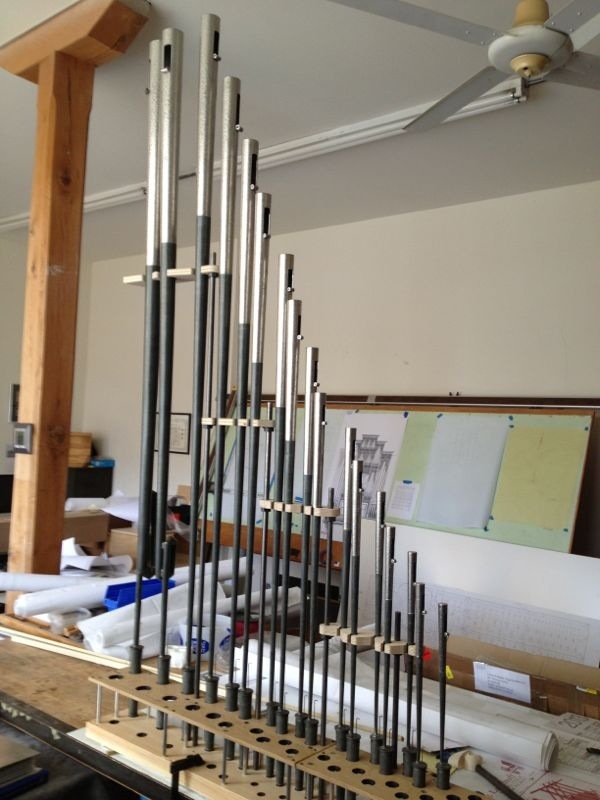 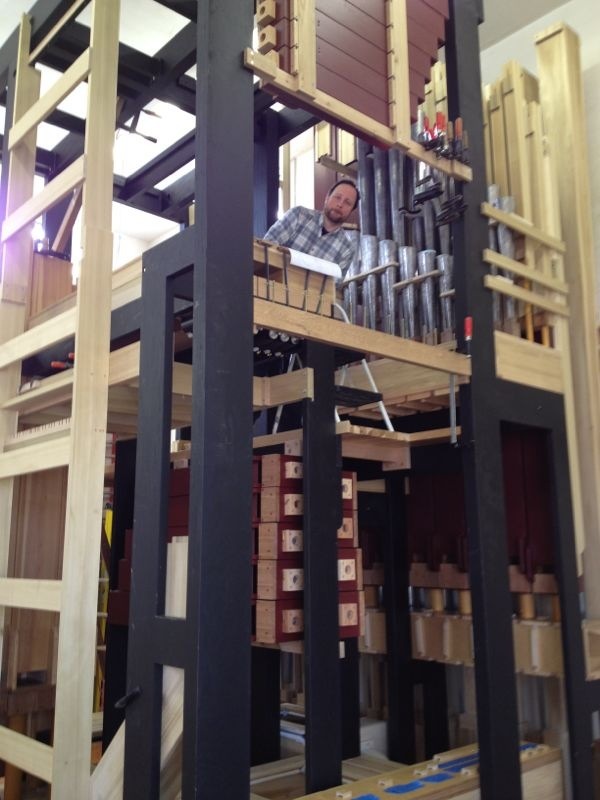 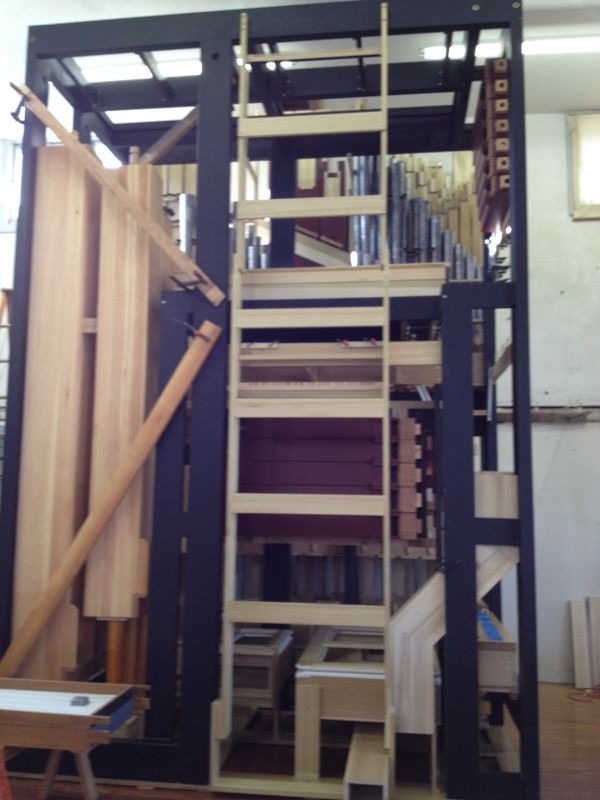 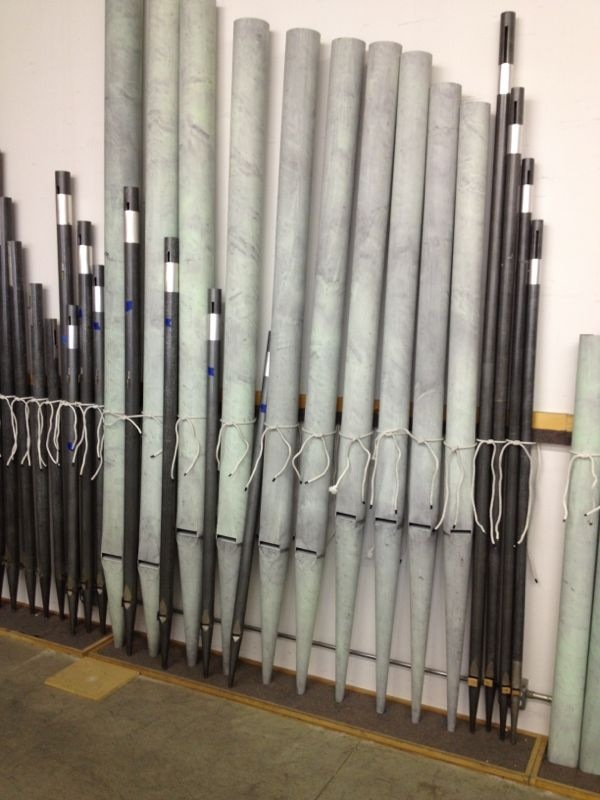 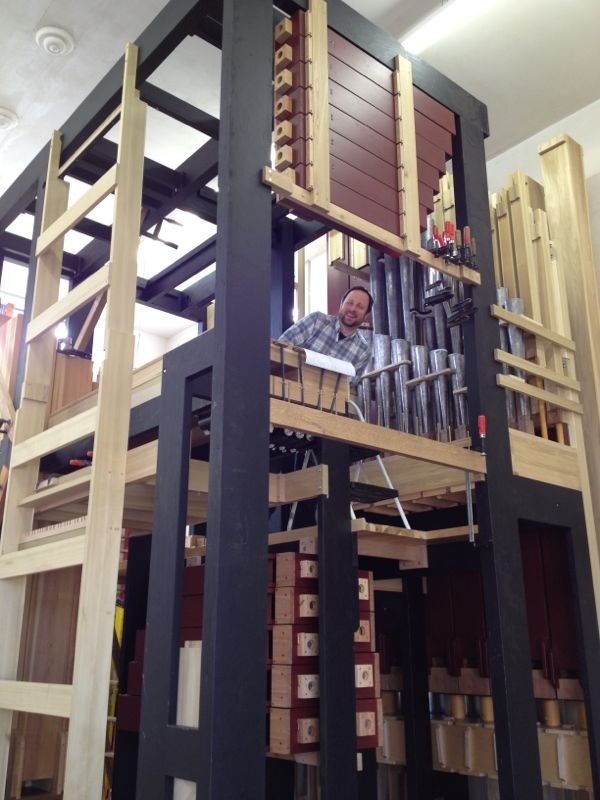 The tops of the 32′ Trombone are yet to be placed and on top of the whole assembly will be the solo division with orchestral strings, solo reeds and the big triumphant Tuba and Trumpet voices. 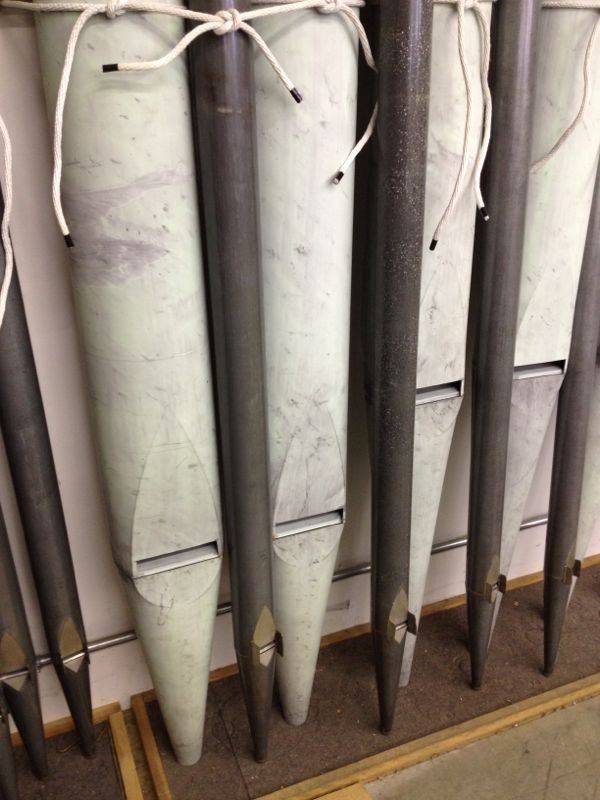 The other big projects taking place in January have been the refinement and adjustment of the mechanical playing action and the regulation of the swell expression chamber. 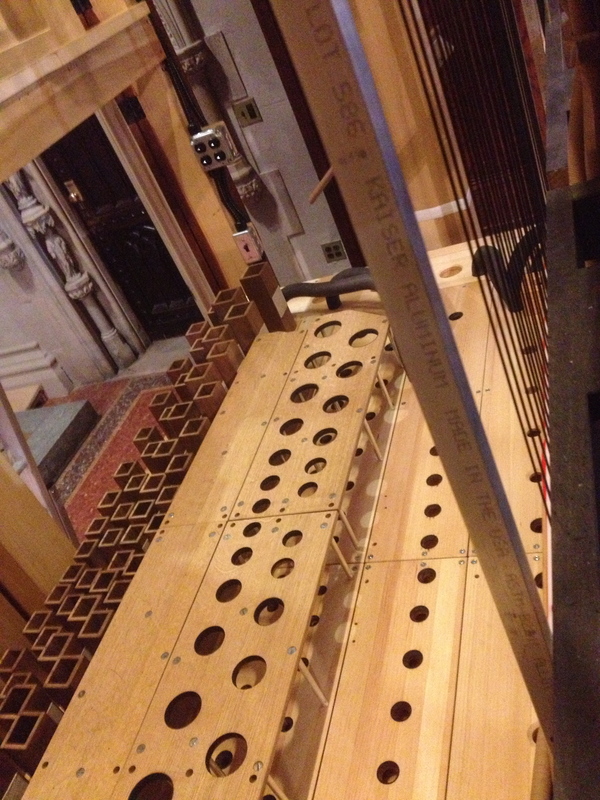 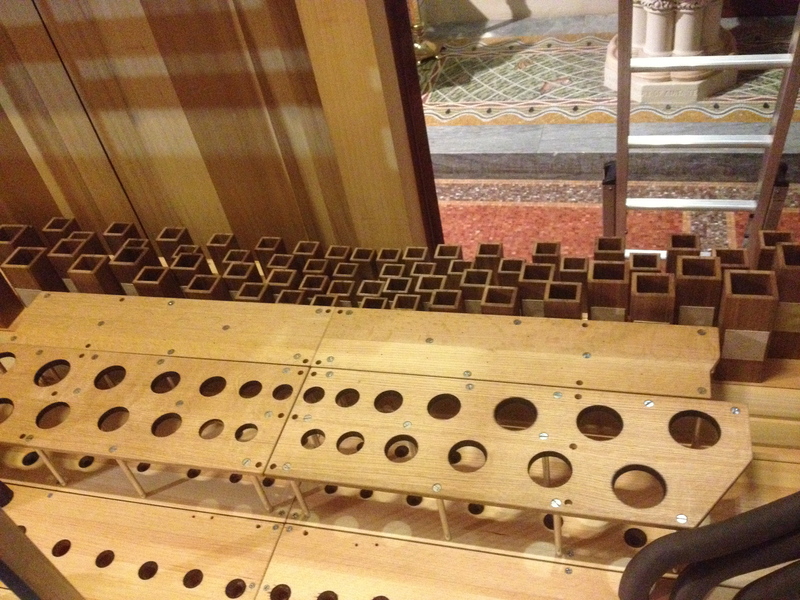 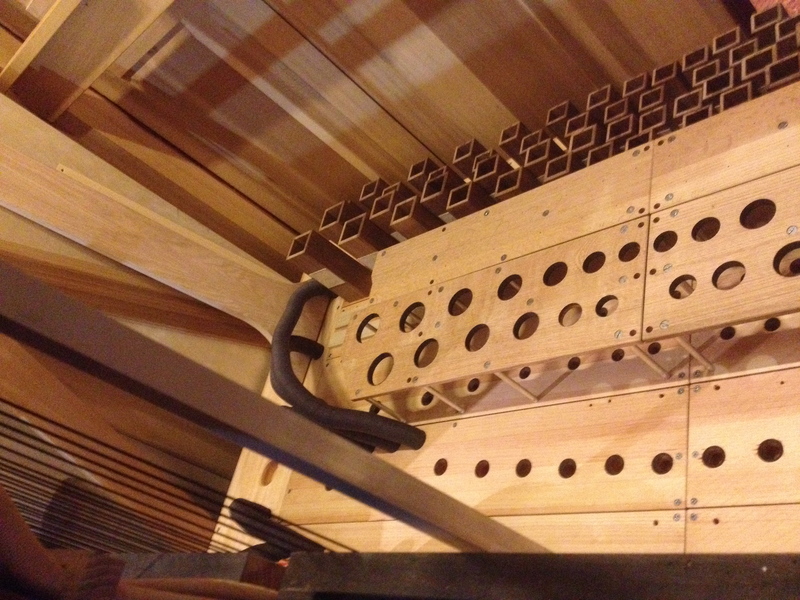 Also pictured are details of the small pedal division toe boards being installed and the Solo “orchestral oboe” being fitted to it’s rack boards.